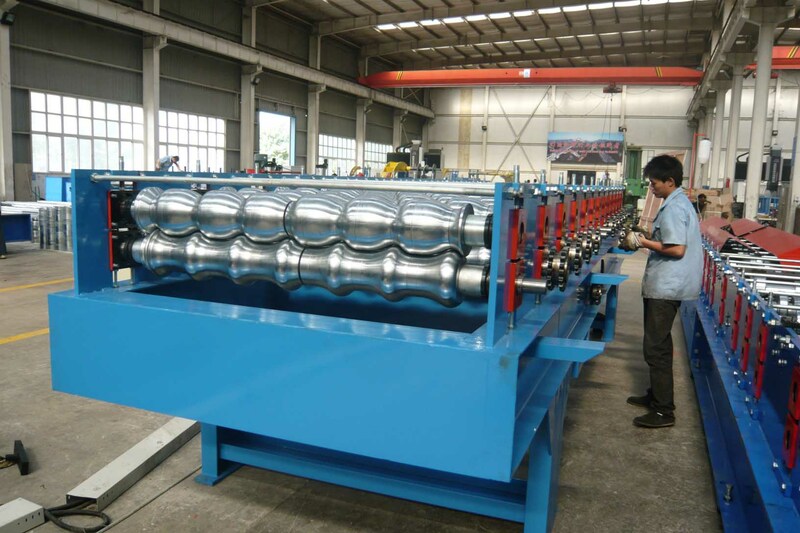 Roof and wall forming machines can make highest quality product with different sizes. Impressive production capacity to match different clients demands. For heavy capacity requirements, we offered best price and excellent quality ratio. We also offer the client work with traceability, standard components, spare parts availability, service, cost efficiency service. Servo system can speed up the running speed. If you want to seep up, let me know how quickly you wanted. Welded steel structure base, chains transmit, motor drives it. Function of Hydraulic pressing/ Cutting is Stop to press, Stop to cut, Post cut . It use Mitsubishi PLC system to control the whole line that can measure and cut the length automatically. Frequency adjusts the speed and it has the self-control speed function.